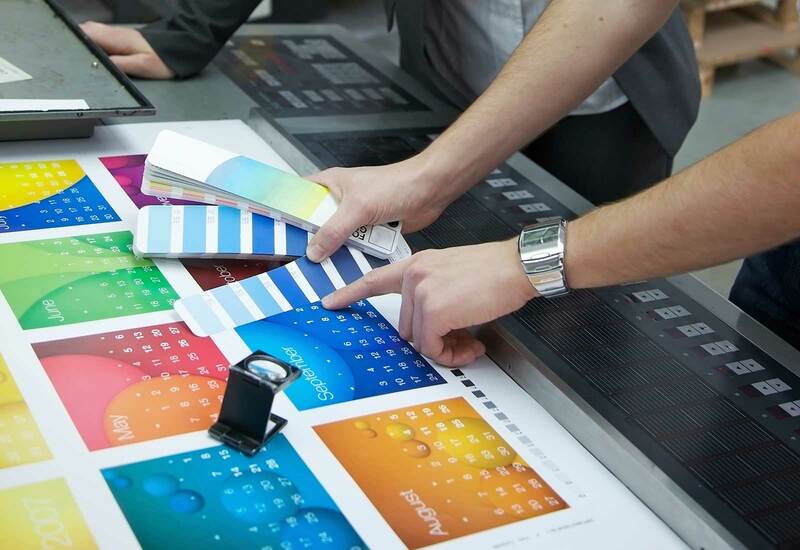 Printing Services – Screen Printing Bottles – You can screen print on all types of different printed materials. Different screen printing jobs may require different printing machines. Here we are printing a single spot location and single color onto bottles. The yellow images on this screen are porous and allow ink to seep through on the bottles below. These screens were created earlier using vector images in a dark room. Every time the machine cycles, it pulls a chord, keeping track of the print count. The printing screen is precisely measured to insure a full 360 degree print. The operator presses a foot pedal on the ground and the machine runs one full cycle. She then places the bottles onto a conveyor belt which runs the freshly printed bottles through an oven. The oven dries the bottles at temperatures ranging towards 200 degrees. Once exiting the oven, another employee inspects the bottles one last time before preparing them for shipment.